First Shape: all four legs landing roughly perpendicular to the ground, which is usually the first steps a horse attempts. 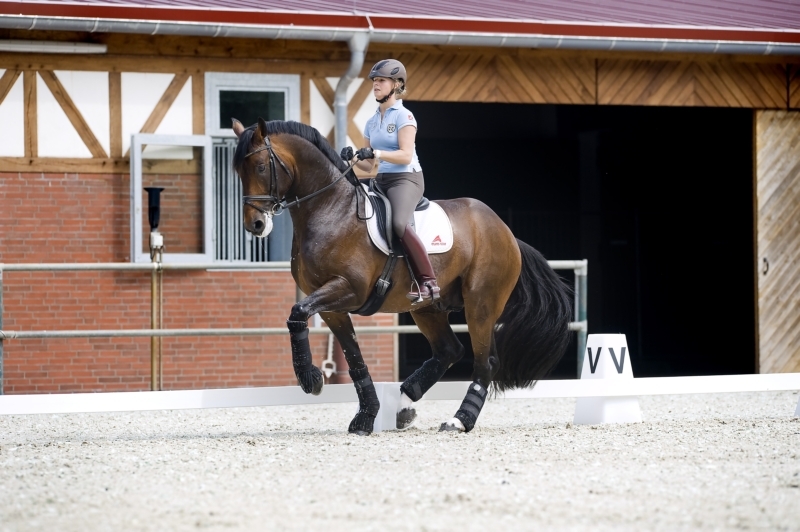 It can be useful for working transitions within gait, but keeping the horse from hollowing in a “square” piaffe is difficult, as is attaining animation. Second Shape: all four legs towards the center of the body, sometimes called “pedestaling.” This tends to be the second shape a horse takes in learning the piaffe. It varies considerably in quality, depending on where the horse’s weight is balanced and whether or not it occurs due to an overuse of rein. Third Shape: on the forehand, generally with the front legs coming slightly behind the vertical but the hind legs landing under the hip. This can be a result of over-reliance on the whip and/or use of pillars, though it can also be a just a rough stage in the horse’s development. Often very flashy movement behind, very little in front. Often disunited and/or laterally uneven. This photo isn’t the best example, but people seem hesitant to post photos where the horse’s balance is more obviously shifted forward. 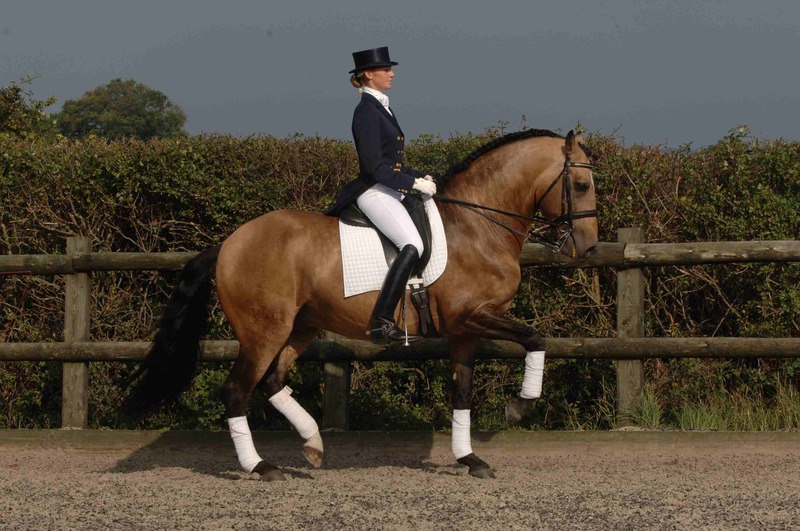 However, note that the haunches are not significantly lowered when compared to how far under the body they are; action is much more exaggerated behind; and the horse is leaning slightly forward over the standing front leg. Fourth Shape: Front legs land roughly perpendicular to the ground, hind legs somewhat under. This is the shape that can be developed into the levade or pesade, and from there into other airs. The pelvis is tipped, haunches lowered, and weight clearly on the haunches. Often the hind of each diagonal will land a hair before the fore, but they should pick up together. A cowhocked, wide behind way of sitting is a common flaw; this is not immediately problematic, but something to be wary of. If it is extreme in an otherwise straight horse, it may indicate a lack of strength or conditioning.